From the 22nd to the 25th of February 2018 the art KARLSRUHE celebrated its 15th anniversary. Find out here what has moved the art world in Karlsruhe. The 15th art KARLSRUHE offered a large number of artworks that also surprised insiders because these pieces returned to the art market for the first time after a long hiatus. For example, several of the outstanding works in the genre of Classic Modern art that were immediately discussed throughout the fair included the unique “Singer at the Piano”, which Ernst Ludwig Kirchner painted in 1930 (at Henze & Ketterer; 3.7 million euros). Equally fascinating: “The Cycle of the Year”, which Hannah Höch painted in 1938 (at St. Gertrude; 240,000 euros). Needless to say, ample attention was likewise attracted by numerous artworks in the genre of Contemporary art. Among the most spectacular was Bernd Reiter’s “Irony of Fate”, a circa five-metre-tall installation on an area measuring 15 by 8 metres and featuring the spatially encompassing ensemble of a Russian fighter jet and two American luxury automobiles (at Michael Schultz; 1.2 million euros). Appreciative crowds also thronged around freestanding ceramic objects by Bean Finneran, especially a red ring, appropriately entitled “Red Ring” (see cover photo) and consisting of countless little sticks; part of the reason for this artwork’s attraction is that the internationally successful sculptor who created it was exhibiting in Germany for the first time (DavisKlemmGallery; 95,000 euros). The motto of this fair’s year was “Art. Space. Emotion.”, so sculptures necessarily enjoyed a grand staging at art KARLSRUHE 2018. The Sculpture Areas, which were initiated by the fair’s curator Ewald Karl Schrade and which have enjoyed a warm reception right from the start, could be found for the first time in all four halls. They covered a broad art-historical spectrum ranging from figurative sculpture to constructive formation. The Sculpture Areas served as resting places in the landscape of stands, as places for contemplation and as venues for commerce. 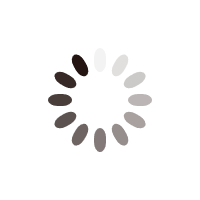 Apropos prizes: thanks to the L-Bank, the State Bank of Baden-Württemberg, the first annual Loth Sculpture Prize could be endowed with 20,000 euros – an apt tribute to the importance of threedimensional art. Ultimately, this was also a motivation for the exhibitors to continue staging these special exhibition areas, which often necessitate the transport of sculptures weighing several tonnes to Karlsruhe. Of course, numerous works of Contemporary art likewise found new owners. Just a few hours after the grand opening of the 15th art KARLSRUHE, Dirk Geuer from Düsseldorf was delighted to have sold every one his artworks by Leon Löwentraut (for prices between 18,000 and 45,000 euros). And in the dm-arena, which is dedicated to ContemporaryArt 21, Marko Schacher from Stuttgart confirmed: “The atmosphere in this hall is terrific. It’s fun to be here.” When he uttered those words, Schacher had already sold several artworks by Johanna Jakowlev for prices between 3,000 and 6,000 euros. How Classic Modern artworks and their new counterparts from the present day look in direct interplay with a residential situation, and how they dialogue with one another, were documented most clearly by the 15th art KARLSRUHE’s Special Exhibition, which was staged by the Frieder Burda Collection. “A museum in miniature” was the phrase that Frieder Burda chose to describe the staging, which recalled a private salon and displayed artworks by Max Beckmann and Pablo Picasso, along with creations by Isa Genzken, Rodney Graham, Andreas Gursky and Neo Rauch. Henning Schaper, director of the Frieder Burda Museum, said: “We received very positive feedback from the media and in dialogues with numerous visitors.” Guided tour at the special show of the collection Frieder Burda: „L‘Amour fou pour l‘Art“ Bernd Reiter: „Irony of fate“. Installation on the sculpture area of the gallery Michael Schultz. Christian K. Scheffel, who owns a gallery in Bad Homburg and initiated the “Blickachsen” sculpture biennale in the Rhine-Main region, numbers among the first exhibitors at art KARLSRUHE who staged Sculpture Areas, which annually surprise viewers with three-dimensional artworks by internationally famed sculptors. For this year’s fair, Scheffel decided to present sculptures by the artist Joana Vasconcelos, who was born in Paris in 1971 and currently lives in Lisbon. 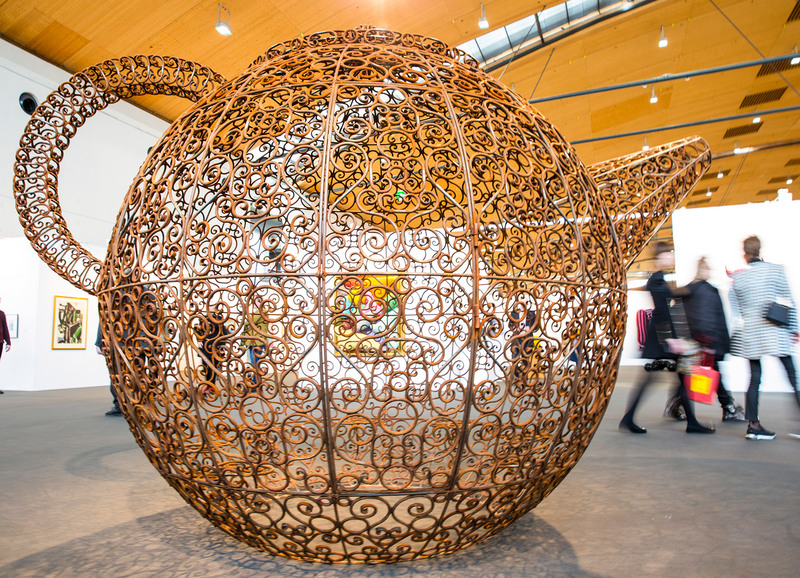 The centre of the exhibition area was dominated by a tall, wrought-iron, teapot-shaped sculpture entitled “East Frisia” which is also suitable for placement outdoors. The fourperson jury unanimously chose this impressive Sculpture Area to receive the new Loth Sculpture Area Prize. Awarded this year for the first time and endowed by the L-Bank with 20,000 euros, the Loth Sculpture Area Prize commemorates the oeuvre of the German artist Wilhelm Loth, who died in 1993. The estate executor Alexander Heil, who serves as the fourth juror alongside three museum directors, emphasized in his speech at the conferral of the Loth Sculpture Area Prize that Joana Vasconcelos, who represented Portugal at the Venice Biennale five years ago, primarily focuses her artistic efforts on women’s issues.